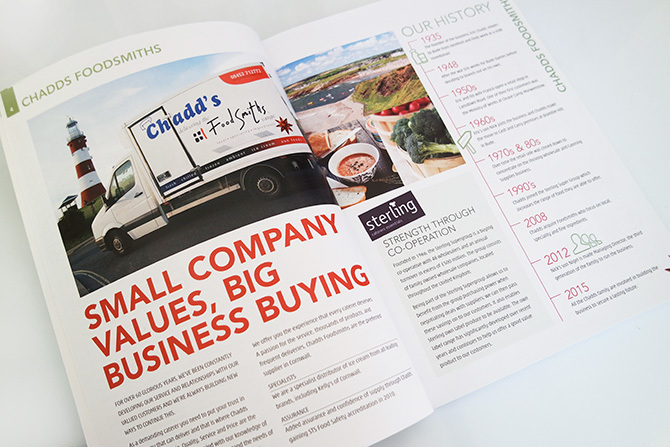 Chadds Foodsmiths is a family run Cornwall based company that had recently bought out one of its competitors. With attention focussed on making the acquisition work, marketing had taken a back seat for a couple of years. We were approached by Commercial Manager Duncan Cox to update marketing material to reflect their new brand and the enlarged product range of the combined company. 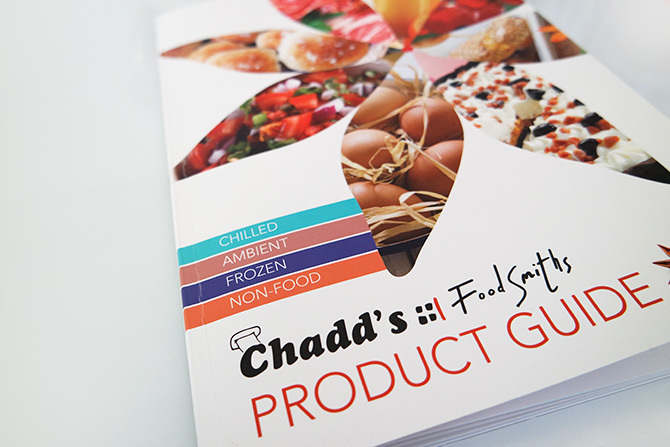 The product price list catalogue is a core part of their marketing materials which is sent to restaurants, pubs, clubs, schools and care homes in the area and used by Chadd’s sales teams. 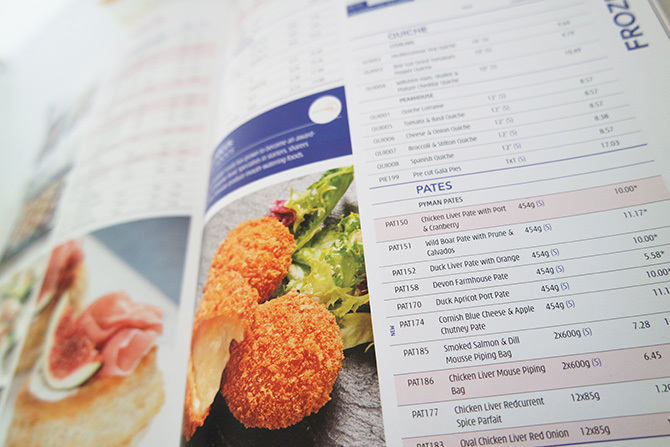 Updating the look of this brochure to reflect the new business and ensure that it works as hard as possible for them was a key step in the future of the now combined businesses. 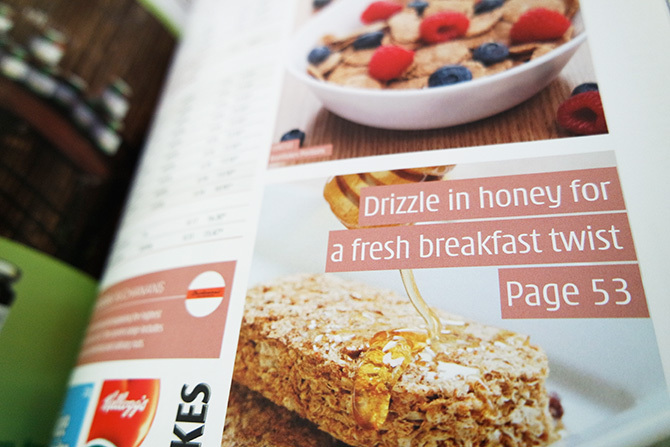 The previous brochure was significantly out of date, confusing and didn’t show their range of food off to its best. We broke everything down and started from scratch with a focus on the food and ease of use for their customers. We created a new look from cover to cover with refreshed icons, colours and fonts that are the starting points for a new look for the company. 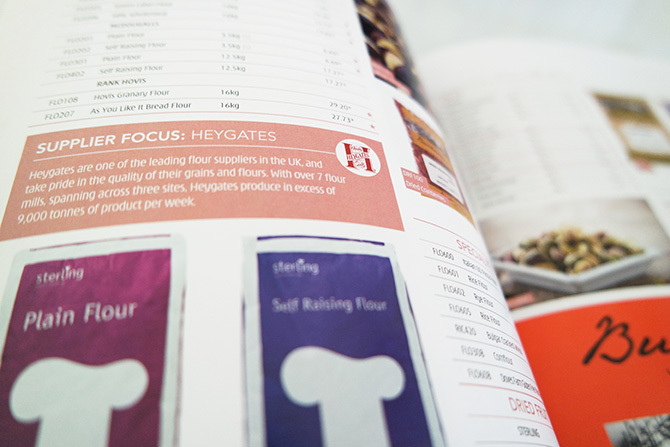 Supplier focus boxes and top tips laid over images throughout the brochure cement their relationships with suppliers and position Chadds Foodsmiths as experts in the foodservice industry. Working with the needs of the team and helping them through a process that was unfamiliar to them was a fun journey, enjoyed by both sides. 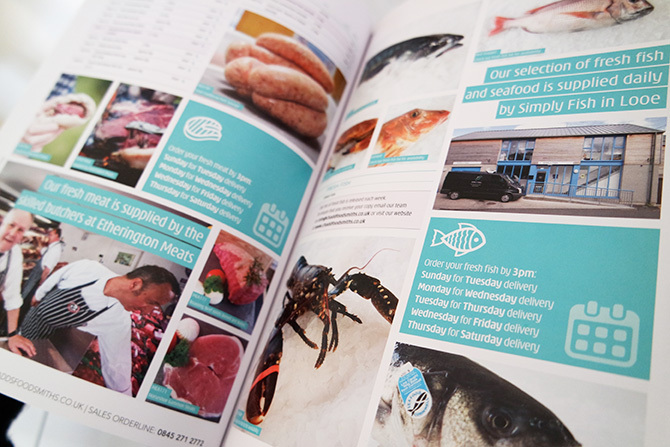 So much so that we hit the road on a journey to Cornwall to see the launch of the brochure at Chadd Foodsmith’s annual food tasting event, Appetite South West. Both the client and their customers were delighted with the brochure and we hope it leads to increased sales success for them over the course of this year.